As one of the largest leading designers and manufacturers in the motion control industry around the world, Leadshine offers full product line of high-performance and low-cost motion control products. 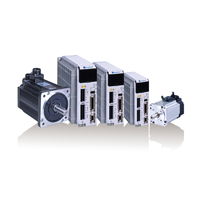 Our products include 2 & 3 phase stepper drives & motors, integrated easy servos (integrated closed loop steppers), integrated stepper motors, easy servo drives & motors (closed loop steppers), brushless & brushed servo drives / motors, PC base & standalone motion controllers, power supplies, and companion accessories. Leadshine offers complete stepper products including stepper drives, multi-axis stepper drives, integrated stepper motors, and 2 & 3 stepper motors. Our stepper products are well known for their high performance, reliability, and cost saving. 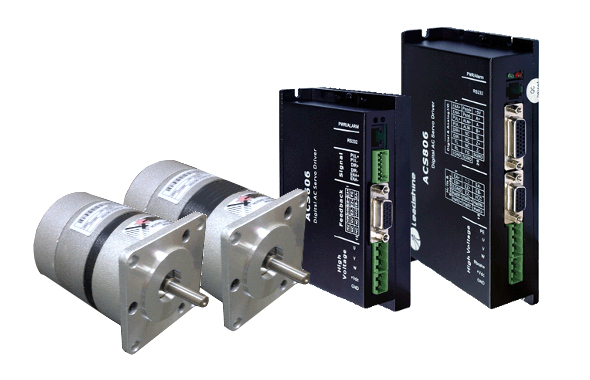 Leadshine offers easy servo products (closed loop steppers) including integrated easy servo motors, easy servo drives, and easy servo motors. 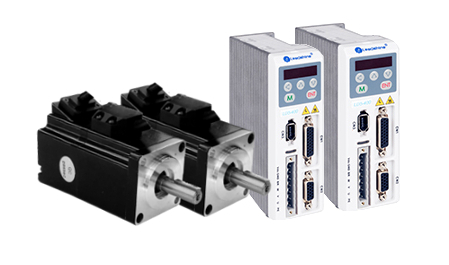 Those products combine advantages of stepper and servo systems, and can boost the performance of stepper systems or replace brushless servos. Leadshine servo products include integrated brushless servo motors, brushless servo drives, brushless servo motors, and brushed servo motors and drives. Those products are at industrial quality, high performance, simple to use, low cost, and highly reliable. Besides stepper and servo motors, Leadshine also offers Leadshine other motion control products and accessories such as motion controllers, power supplies, motor cables, breakout boards, etc.